The asteroid belt is thought to have originated as a group of larger planetesimals that began to be formed within 5 million years of the formation of the solar system, and that soon afterward the plan-etesimals began to be broken apart by mutual collisions among them. 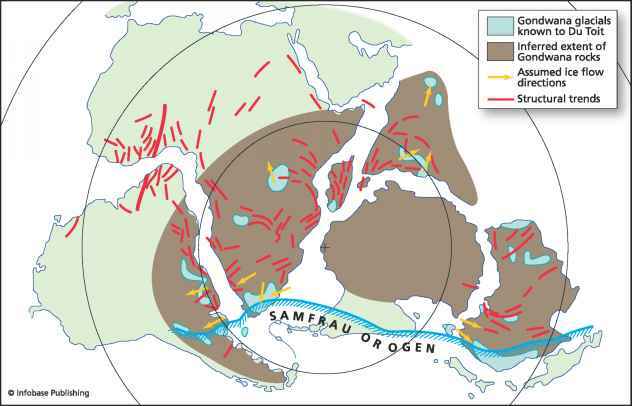 some collisions happened within a few tens to hundreds of millions of years after initial formation of the bodies; others have happened within the past 200 million years. Most of these collisions are induced by the gravitational forces between Jupiter and the sun. The composition of asteroids is determined through remote sensing methods, typically using reflection spectra from the surfaces of asteroids. Presently no samples have been returned from exploration missions to asteroids, so it is difficult to correlate directly their composition with meteorites. The remote sensing studies of asteroids reveal that they have a diverse range of compositions and closely match the range of meteorite compositions found on Earth. In this way some meteorites have been matched to remnants of their parent bodies in the asteroid belt. For instance, asteroid 4 Vesta has the same composition as and is thought to be the largest remnant of the parent body for the howardite, eucrite, and diogenite classes of achondrites. The composition of asteroids changes gradually with distance from the sun. The asteroids closest to Mars are classified as s-type silicate bodies and resemble ordinary chondrites. These are followed outward by more abundant B- and C-types, containing some water-rich minerals, and appear to be carbonaceous chondrites. D- and P-types rise in abundance outward, but these do not have any known correlatives in meteorites that have fallen to Earth. These dark objects appear rich in organic material. The outer solar system asteroids, including those in the Oort Cloud, are thought to be the remnants of the original protoplanetary disc that the solar system formed from 4.6 to 4.5 billion years ago. Many of the objects in the Oort Cloud may have initially been closer to the Sun, but moved outward from gravitational perturbations by the outer planets. The current mass of the oort Cloud, three to four Earth masses, is much less than the 50-100 Earth masses estimated to have been ejected from the solar system during its formation. It is possible that the outer edges of the oort Cloud interact gravitationally with the outer edges of other oort Clouds from nearby star systems, and that these gravitational interactions cause comets to be deflected from the cloud into orbits that send them into the inner solar system. Bombardment of Earth by comets early in its history may have brought large quantities of water and organic molecules to the planet. In some models for the evolution of the early Earth, most of the volatiles initially on the planet were blown away by a strong solar wind associated with a T-Tauri phase of solar evolution, and the present-day atmosphere and oceans were brought to Earth by comets. small microcomets continue to bombard Earth constantly, bringing a constant stream of water molecules to Earth from space. Don't get caught out in a disaster, be prepared for the unlikely. 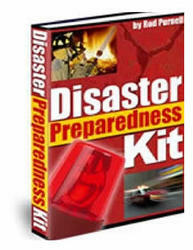 You just never know when disaster will strike, but if it does you will be more then prepared for it with the information this ebook gives you.